Silhouette CAMEO users have long asked for a larger cutting machine...so far it hasn't happened. 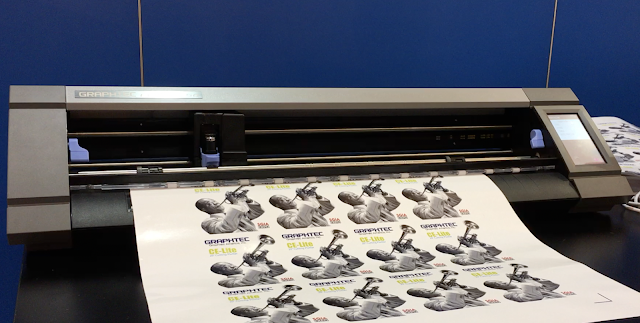 For some - the release of the 20" Graphtec CE-50 Lite has peaked their interest simply for the increased cutting size and speed. 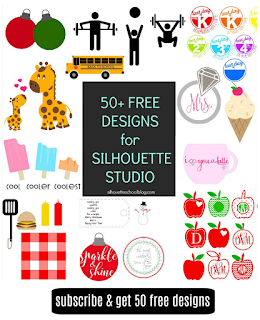 But is it a good next step for Silhouette users who want or need a bigger and faster vinyl cutter that's still compact enough to fit on a desktop? 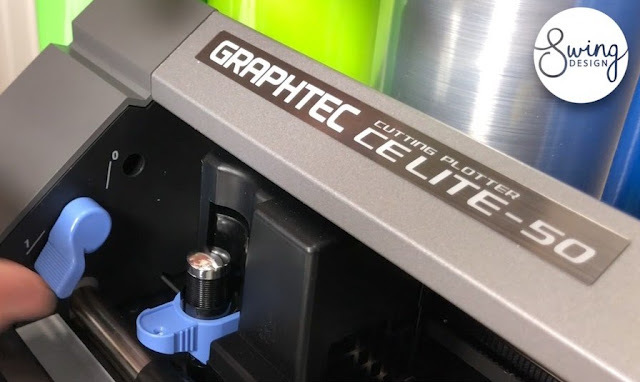 I was first introduced to the Graphtec CE-50 Lite while at SGIA in October 2017. That's where the 20" vinyl cutter - that looks strikingly like the Silhouette CAMEO and uses an almost identical blade- was first unveiled. 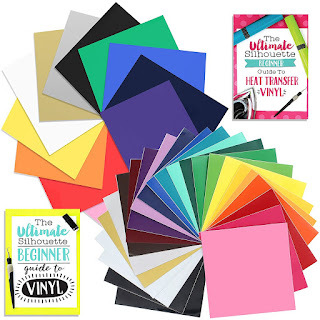 There's no doubt this is the closest vinyl cutting machine to hit the market for the hobbiest-turned-small-business owner who’s outgrown their Silhouette CAMEO or CAMEOs. 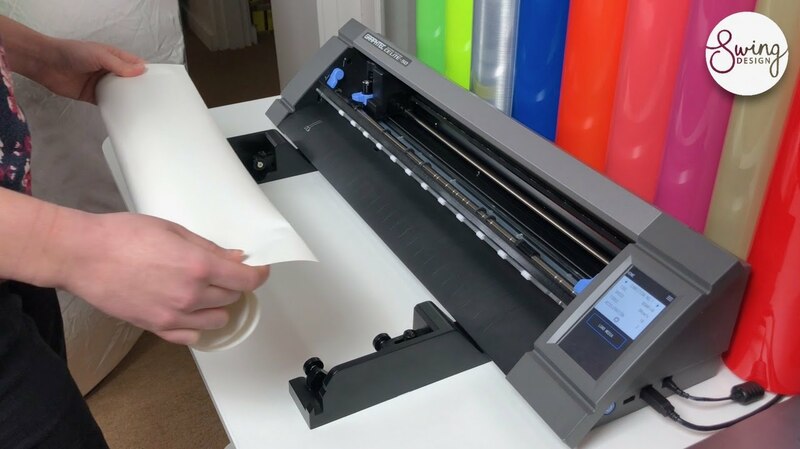 While some who've long-waited for a larger and faster desktop cutter will add the new Graphtec machine, I think others will take pause - and for several reasons. Without a doubt the biggest advantage the Graphtec 20" has over the Silhouette CAMEO is its speed and cutting size. It's hard to ignore just how fast it cuts. The Graphtec CE-50 Lite cuts seven times faster than the Silhouette CAMEO. 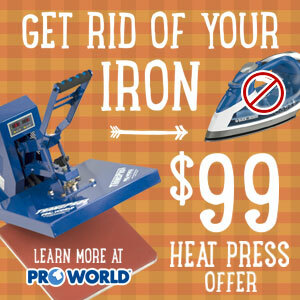 Not only does it cut faster, but it's 8" wider giving users the ability to cut more material a lot more quickly and with less waste when using 15" and 20" wide materials. It is possible to cut smaller materials and it is possible to cut both with and without a cutting mat. The Graphtec CE-50 Lite has print and cut ability, but keep in mind the size restrictions of your home printer. 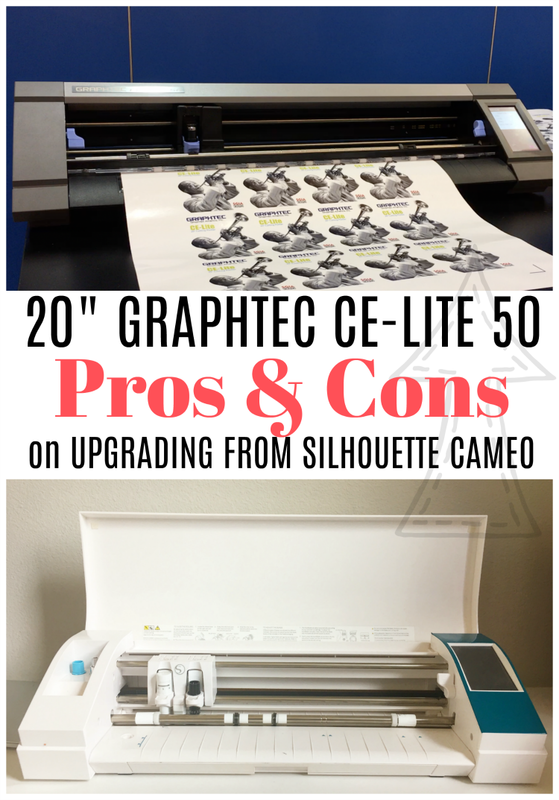 My opinion: Hands down the size and speed are the biggest advantages of the Graphtec CE-50 Lite over the Silhouette CAMEO. The Graphtec CE-50 Lite is so similar to the Silhouette CAMEO in design that most of the Silhouette tools, blades (with the exception of the CAMEO 3 Autoblade), pens, and adapters used in the CAMEO can also be used in the 20" Graphtec. The tool carriage on both cutters is practically identical which means Silhouette users, who are upgrading, won't need to invest in a whole new set of blades and tools. One of the biggest drawbacks, for me as a MAC user, is that the Graphtec CE-50 Lite can only be run with either the most basic Graphtec Studio software or with Cutting Master 4. 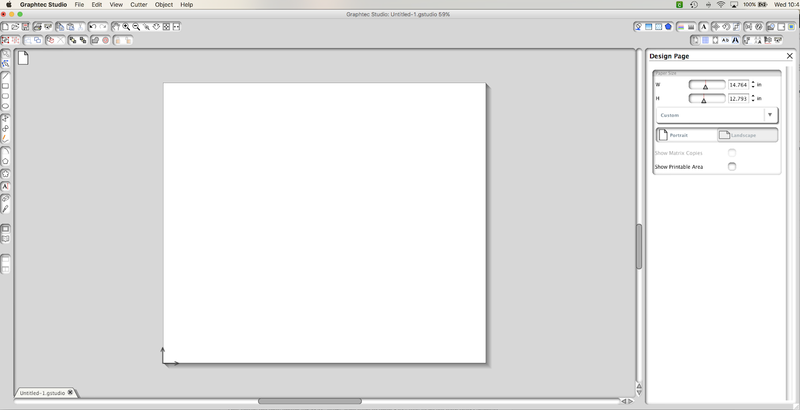 Graphtec Studio looks very much like Silhouette Studio V2, however it's biggest and most obvious disadvantage is that Graphtec Studio does not support SVG files. My opinion: It's painfully clear that Graphtec America has not invested near the resources into developing this software as Silhouette America has on what has become a very powerful Silhouette Studio especially at the V4 and Business Edition level - a max software investment of about $70. 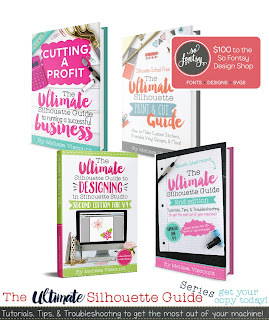 If Graphtec is targeting small business crafters and going after Silhouette users who've outgrown their machine - they are seriously limiting themselves when the only stand alone software open for MAC users is a huge step backward. If the industry standard for cuttable vector files is SVG, the basic software for a $900 machine should be able to open SVGs on both MAC and PC. That leaves the only option for MAC users, who want to open SVG files to be cut with their Graphtec cutter, Cutting Master 4. While Cutting Master 4 is included with many Graphtec Bundles including this one from Swing Design, it's only a plug in and ALSO requires users to have Corel Draw or Adobe Illustrator. My opinion: Offering a plug in that requires half of your potential users to invest in a different software is a major miss. Sure, most graphic designers and sign shops likely already use Illustrator or Corel Draw, but if Graphtec is targeting the home crafter with their machine - they missed the mark on MAC software. PC users can use Graphtec Studio, Cutting Master 4, Graphtec Pro Studio (included with many Graphtec CE-50 Lite Bundles) or the $995 Pro Studio Plus software. 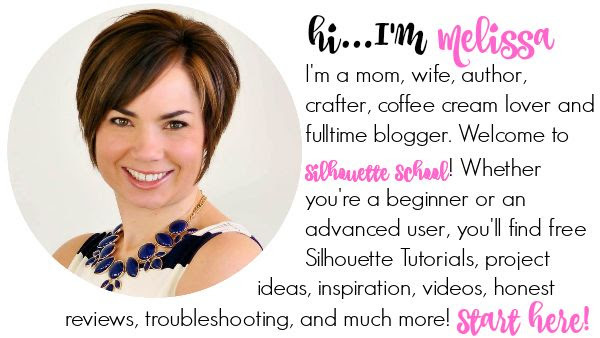 Can You Use a Graphtec Cutter with Silhouette Studio? So to answer every Silhouette Studio user's burning question: No, you are not able to cut from Silhouette Studio to the 20" Graphtec cutter and none of the softwares mentioned above can open .studio files. My Opinion: For those who recognize the long history and relationship between Graphtec America and Silhouette America - it's a disappointment and very likely one of the biggest reasons many will not upgrade from Silhouette CAMEO to Graphtec unless they're willing to spend more time learning another software (there are very few resources out there aside from those provided by the manufacturer). For MAC users, specifically, it's almost certainly not worth it unless you're willing to invest in another computer or additional software. The retail price for the Graphtec CE-50 Lite vinyl cutting machine is $899. For Silhouette CAMEO users - even those running a small vinyl or sign business - that's a big jump from the Silhouette CAMEO's $199-$269 price point. My Opinion: I could probably get over the price tag and the jump up from the CAMEO price if I could get over the huge disadvantages related to software. 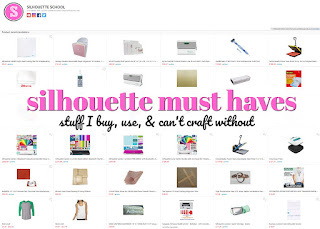 Will Silhouette America Release a Larger Machine? 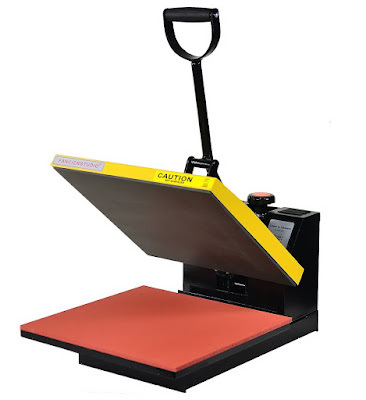 I am still holding out hope doing everything in my power to encourage Silhouette America to either release their own 15"-18" cutter or at the very least offer a software upgrade that would allow Silhouette Studio to run the Graphtec CE-50 Lite. Right now there are no plans for either. Until either of those things happen, it is my opinion - based on a lot of feedback I have heard from Silhouette School readers - that many Silhouette CAMEO users will continue to hold out and not upgrade to the Graphtec CE-50 Lite simply due to the software limitations (for Mac users specifically), lack of educational resources, and price point of the Graphtec.